Come join two non-profit organizations, the World Association of Traditional Chinese Veterinary Medicine (WATCVM) and the American Association of Traditional Chinese Veterinary Medicine (AATCVM), that are passionate about all aspects of Traditional Chinese Veterinary Medicine (TCVM), including: acupuncture, Chinese herbal medicine, Tui-na and Food therapy. 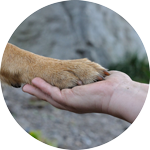 We support veterinary practitioners worldwide through a network of experts that provide advice on cases, continuing education opportunities, a high-quality scientific journal, educational resources and assistance in the design and reporting of clinical studies. These organizations support evidence-based TCVM and fund high-quality research projects. Please note that memberships are based on a calendar year cycle (Jan. 1 - Dec. 31). Note: Payment is processed via PayPal, a safe, secure payment processor that can be used to pay through a credit card or bank account, even if you do not have a PayPal account. Please make sure that the PayPal account is in your name not a family member or other business entity. You will get a confirmation email from PayPal after the payment being processed.. Please allow at least 1-2 business days for your membership to be activated after your payment is received, for our administrator to review your valid veterinarian status. You may also mail a check for the membership dues directly to the WATCVM. Please be sure to include your name, return address, daytime phone number and email address. Mailed applications will be processed as quickly as possible and you will be notified when your membership has been activated.